With the weather really on the turn, get your winter training sorted with one of our big range of Tacx rollers and turbo trainers. From simple value-for-money options right through to highly interactive models, we can set you up for those essential indoor workouts. 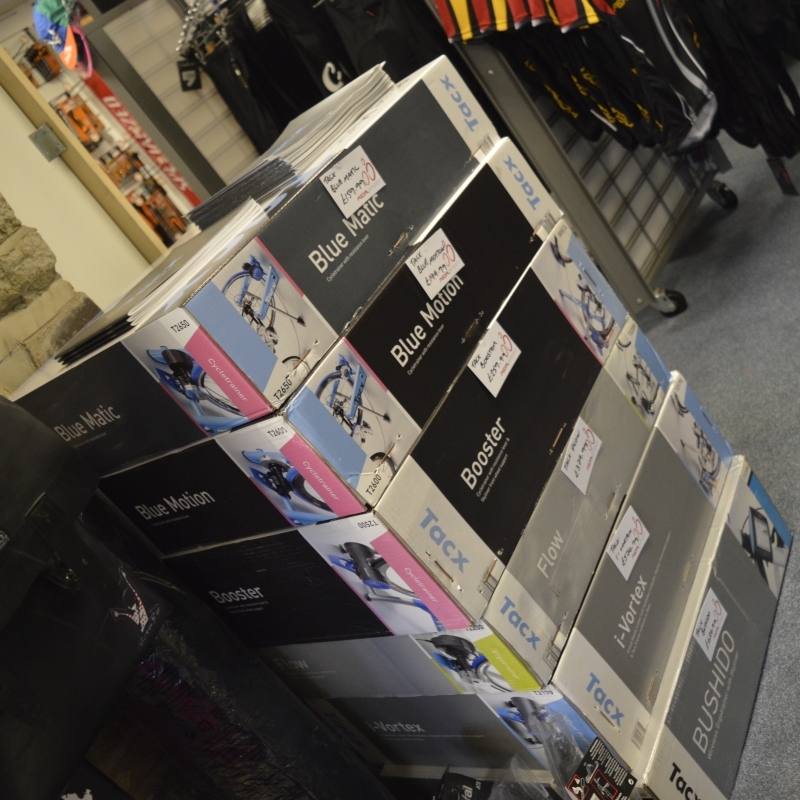 Below is a pile of new stock just waiting to go out. And, if you want to know what the top of the range option looks like, we tested the Tacx Genius earlier in the year and videoed it in action (video below). This entry was posted in Latest News on October 21, 2014 by pedalsportclub.